Learn more about American Fuzzy lop rabbits! 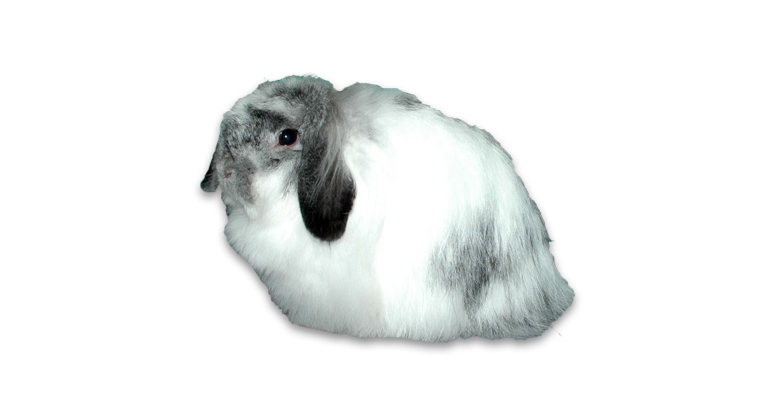 American Fuzzy Lop rabbits were developed by the offspring of pure Holland Lop breeding’s which carry a wool gene which had been introduced English Spots to Hollands for the purpose of creating a broken pattern; then adding an additional cross to French Angora’s, to correct the fur to its originally intended type. As these offspring of pure Hollands continued being bred, the wool gene became recessive, causing about 25%, theoretically, of liters to have long, fibrous, wool type fur. As these continued being produced, some breeders found them desirable, while others did not. As such, the ones who liked this “fuzzy” wool induction and seeing the marketing qualities of this, began working on breeding them together, to strengthen those genes. A few years later, Patty Greene-Kark made the first presentation for a new rabbit breed recognition at the 1985 ARBA National Convention, in Houston, Texas. From that point, after several other trials and errors and successes, the breed passed and was granted recognition by ARBA in 1988, in Madison, Wisconsin. What is an American Fuzzy Lop? How do I care for an American Fuzzy Lop? The biggest difference in caring for an American Fuzzy Lop compared to Hollands or other non-wool breeds, is of course two parts. First, Fuzzy Lops require an owner who is committed to grooming their coats on a much more consistent basis than what non-wool breeds require. Failure to do this can cause tangling and matting, which can be very painful and can even cause infections and other such problems, as bacteria can and will build up. Secondly, wool breeds – included but not limited to the “Fuzzy”- require a consistent amount of papaya to be included in their diets. 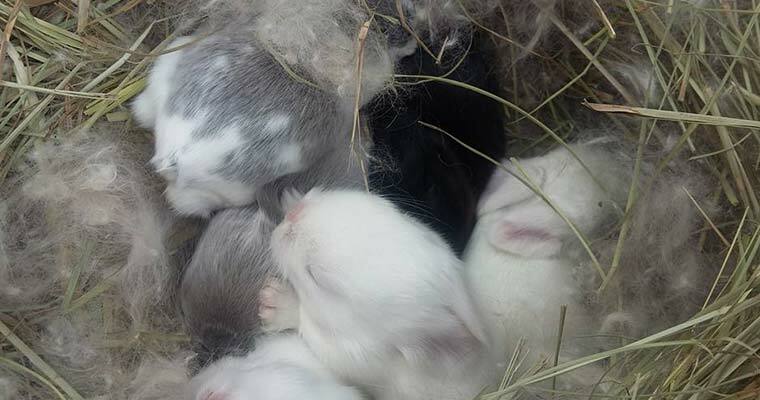 Litter of American Fuzzy Lops! This prevents problems with Wool-Block, caused from the bunny licking and swallowing the fur, which can quickly become deadly if not caught and treated in time. Other than these things, care for an American Fuzzy is the same as any other breed; assuring that they have proper housing and diet, along with routine healthy checks and lots of attention. Is my American Fuzzy Lop show quality? Determining if your American Fuzzy is show quality can be done by studying the ARBA Standard of Perfection. In short, you should be looking for a rabbit that is short & stocky, & have well-balanced and well rounded body, which is supported by a heavy bone density, which can be checked by the thickness and length of ears and legs. Idealistically, the head should display a bull-dog appearance, being blocky and somewhat flattened, which sits closely to the shoulder without the appearance of having a neck. The crown should be prominent and strong, which allows the ears to correctly lop. Fuzzy’s fur should be slightly course, yet thick and even throughout the body, with the presence of guard hairs, and must be a minimum of 2 inches long. The American Fuzzy Lop is not recognized by the BRC. Those interested in the breed are encouraged to see the ARBA standards for this breed as a general guideline.